We’re halfway through the second round and every team is fighting for their positions in the standings. Yes, including the cellar dwellers. And this week offers three matches with huge implications in the playoff race. This is an acid test for Ateneo. They completely fell apart against NU in the first round as they had no solution for Jaja Santiago. When they had an opportunity to put NU on the ropes they flubbed it. Since that loss, they responded by winning eight straight. And in this second round, they’ve put away impressive challenges from UST and FEU. A win against the Lady Bulldogs confirms their title aspirations. A loss drops them into a tie with La Salle. 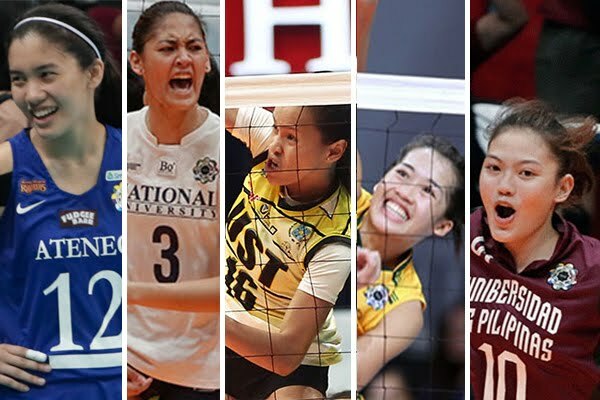 As much as the Lady Eagles seem to be peaking at the right time, they have this tendency to relax and commit errors in bunches that give opponents life. They were lucky to arrest the slide late in recent matches to earn the win. If Ateneo wants to continue their streak they have to take the first set as it could send NU into disarray. Speaking of disarray, National University has waxed and waned. That’s par for the course since the start of their own program six years ago. Like UP, they looked great early in the first round then floundered badly since. They know they have Ateneo’s number as they have a streak dating back to the last V-League. A win will resurrect their own aspirations. A loss will place them in danger of missing the semi-finals bus with their own matches against UP, UST, and FEU on the horizon. If Jaja Santiago has her way, it will open the door for contributions from other players. No doubt they will be pumped for this match as they feel they own Ateneo. This is an interesting match-up. UST is a better attacking team while FEU is a better defensive team. But you really can’t win one way without the other. Whichever team shores up its deficiency will take the win. Now both teams, more or less, have fielded the same line-up these past two seasons. All matches have been four-setters. Last season, FEU owned UST and they made the Final Four leaving the latter on the outside looking in. This season, the Golden Tigresses took the first round meeting and have an opportunity to repay the favor and drop FEU further out of the semis picture. Watching UST in the past few years, when they took the court there was an element of danger to them. They are a rising team that has been stymied by inconsistency. Make no mistake, they are actually a powerhouse team if they put it all together. If this team can find some consistent help for Cherry Rondina especially in the middle attack they could take the win. FEU is another deep and talented team plagued by the same inconsistencies. My take on this team is how their setter performs. I think that that head coach Shaq delos Santos alternating between Gel Cayuna and Kyle Negrito has been good because it has challenged both to be at their best. I have no admit that I have never been impressed with Negrito even after previous setter Gyzelle Sy departed. But with Cayuna’s ascension, Negrito has begun to play better. If both play well, it puts the Lady Tams in a position to win because we already know that there’ll be scoring coming from Bernadeth Pons, Remy Palma, and when the spirit moves her, Chin Basas. A win by UST gives them some breathing room. A win by FEU places them back in the thick of the fight. A loss places them in danger but they do have vastly inconsistent NU and vexing UP on deck. UP will have dealt with their bottom dwellers (I don’t see any reason why they shouldn’t defeat Adamson) and that brings them back into the race. But if they take down NU that will give this struggling side much needed confidence to win. Everyone has forgotten the 4-0 start now. But I’d still like to say that if they can find that confidence that was evident then, they will be dangerous. A must win situation for UP (and of course for NU).